OPINION: Are you prepared to become an ambassador for Ukraine? 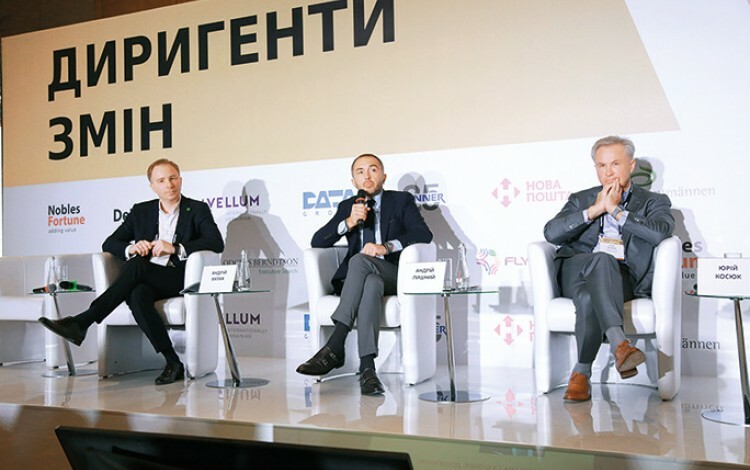 I recently took part in the fifth “Conductors of Change” forum in Kyiv. This annual event seeks to analyze the progress Ukraine is making in the country’s historic reform agenda. It is the product of heightened post-Maidan expectations that Ukraine would undergo rapid transformation following the victory of pro-European forces in early 2014. Did everything work out as anticipated? Certainly not. Are there still reasons to be proud of Ukraine’s subsequent achievements? This was the focus of the forum, much as it is a central theme of many discussions in today’s Ukraine. Opinion among forum participants was divided. At the beginning of our panel discussion, our host invited us to look back on the past four years and asked us to identify the specific emotions we felt in relation to the reform process. Did we feel pride, admiration, gratitude, disappointment or anger? More than half opted for negative emotions and selected disappointment and anger. I personally found it difficult to give any one definitive answer to this question. Looking back at the situation in 2014, I feel a real sense of pride in our achievements and in our ability to master the unprecedented challenges we faced. However, when I turn my attention to the current situation and the many problems we have yet to resolve, I share the anger and disappointment expressed by my fellow forum participants. Nevertheless, these frustrations cannot completely eclipse the very real results of our work. This contrary cocktail of emotions might not be such a bad thing. In fact, it may well be the ideal energy drink to fuel us forward towards further reforms. As we attempt to place the events of the past four years into their proper context, I believe it is vital to recall how desperate the situation looked in spring 2014. Entire regions of Ukraine were under military occupation and we were completely unprepared for a war that was rapidly unfolding all around us. The country faced an unprecedented drop in GDP and business found itself confronted by a terrible liquidity crisis. Meanwhile, the watching international community held its collective breath. This was in many ways to prove the moment of truth for Ukrainian statehood. Ukraine survived, and so did Oschadbank. The new team who joined Oschadbank in spring 2014 arrived at what could hardly have been a more difficult time. We immediately implemented a range of bold measures and, in so doing, managed to prevent the loss of staff while also saving money. Meanwhile, the unavoidable losses incurred by the bank in Crimea and eastern Ukraine became the basis for the first international arbitration damages claims filed against the Russian Federation by a Ukrainian state-owned company. The next step was the launch of an entirely new development strategy. In this process, cooperation with international financial institutions was to make all the difference. My first business trip as Chairman of the Oschadbank Management Board was to Sloviansk in eastern Ukraine, where we renewed welfare payments soon after the liberation of the city in July 2014. My second trip was to the London offices of our strategic partner the European Bank of Reconstruction and Development (EBRD). Working together, we produced a strategy document with the disarmingly simple title “Modernization”. This document provided a clear vision of the changes required in order for Oschadbank to become an attractive investment proposition. Earlier this year, we sat down with our EBRD partners once again and summed up the implementation of this vision. It was 90% complete. For the past three years in a row, Oschadbank has taken first place in the annual “50 Leading Banks of Ukraine” ranking. It has earned recognition on several occasions as a premium banking segment leader. We have led the way in reducing unprofitable and outdated regional branches across the country, while at the same time creating remote channels and establishing a new generation of branches that currently numbers almost 600. In early 2014, Oschadbank had just five 24-hour self-service banking zones nationwide. There are now 450. For four consecutive years, Oschadbank has been the market leader in terms of deposit portfolio growth. Today, the bank’s deposit portfolio amounts to over UAH 71 billion, representing almost 22% of the individual deposits in the entire Ukrainian banking system. Back in 2014, the bank’s share was just 7%. There has been similar growth in the number of banking cards issued by Oschadbank, with the current seven million total placing the bank in second place nationally. The bank has maintained a leading position in the secondary housing mortgage market with a share of 30%, while eight out of every ten “warm credits” worth a total of UAH 2 billion nationwide were issued by Oschadbank. We rank fourth nationally in the loan market for farmers and state support programs in the agribusiness sector. This year alone, UAH 450 million has been provided in financing for the purchase of agricultural machinery, while UAH 117 million has been paid out in state compensation. Our digital progress has been particularly striking. We have built the country’s number two online banking portal practically from scratch, and currently have more than three million digital banking customers. The services they enjoy offer levels of convenience and functionality to rival anything you will encounter today globally. Thanks to this digital transformation, over 50% of all transactions including routine processes such as utilities payments now take place online. Clients can also open a deposit account via their smartphone without having to visit a branch at all. Seven years ago, Oschadbank was languishing in thirty-second position nationally in terms of merchant acquiring, but we now occupy second place in the market. Nobody expected this progress, but we established our priorities and systematically began to gain market share, engaging with everyone from Mystetskiy Arsenal and Vulychna Yizha (“Street Food”) to the Kyiv Metro and the UEFA Champions League. We currently serve such brands as McDonald’s, Auchan, Velyka Kyshenya, WOG fuel stations, Turkish Airlines, Nova Poshta, H&M and many other well-known Ukrainian and global companies. In the past few years, Oschadbank has created a completely new line of services for small and medium-sized businesses (SMEs) as well as an unprecedented SME support program called “Build Your Own!” that provides credit support along with training and advice for current and future entrepreneurs. Our message is simple: Ukraine needs two million new entrepreneurs and we intend to help create them. So far, these SME support efforts have proven successful. We currently have a loan portfolio of over UAH 3 billion and 20,000 new customers. Meanwhile, 50,000 active and potential entrepreneurs have signed up to the “Build Your Own!” website. This is helping to generate valuable feedback while creating a priceless database for the country’s future economic development. Our achievements would not have been possible without state support. In this context, we must give credit to those who took on the leadership of the country during the tumultuous days of spring 2014. Back then, Ukraine ranked 137th in the World Bank’s authoritative annual Doing Business ranking. By the time the most recent edition appeared in autumn 2018, the country had climbed to 71st position. Achieving such an advance in the space of four years is no simple task, but Ukrainian society and the country’s political leadership have managed it. I believe acknowledging this progress is essential if we are to move further forward. Many of my fellow participants at the “Conductors of Change” forum agree with this sentiment and are ready to share this message. When asked whether they were prepared to become international ambassadors for Ukraine, 77% answered in the affirmative. 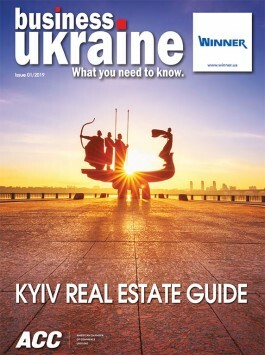 I hope that readers of Business Ukraine magazine will also be ready to represent the country on the international stage, especially because many are foreigners who have valuable personal experience of everyday life in Ukraine. Global audiences hear more than enough negative news about Ukraine. It is time they heard the genuine experiences of those who actually live and work in the country. Why did you choose Ukraine? What persuaded you to move here in the first place and why do you continue to invest your time and energy into the future of the country? What makes you believe Ukraine’s transition is possible? Raising the country’s profile can also help keep Ukraine on the right track. The more international friends Ukraine has, the greater the demands are on the country’s political leadership to maintain the highest standards. This international support serves to vaccinate the country against the populism that is perhaps the greatest single threat to Ukraine’s future progress. I invite all of our international friends to consider themselves informal ambassadors for Ukraine. Spread the news of our country and encourage your compatriots to give Ukraine a chance. Together we will achieve more. Together we will get it right.